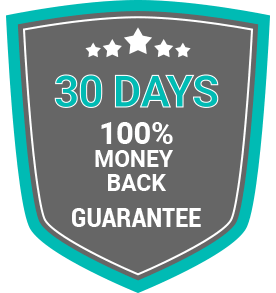 At SSLRenewals.com, we're so certain that you're going to be happy with our products and service that we offer a money-back guarantee. And, judging by the number of times we've actually had to make good on that guarantee – almost never – we're doing something right. That's right, try your SSL Security Solution for 30 days and if you're not happy with it we'll refund your money. There's nothing else like that in the industry. But it's just one more way we can show confident we are in the products we're offering that support we provide.